With the rising popularity of vision systems and other robot-aiding instruments, it is now common to see robots take on more and more intricate tasks. This creates situations where robots are handing off parts to each other and in doing this, they need to communicate robot to robot to maintain efficiency and fast production times. Universal Robots have an arsenal of communication protocols to satisfy almost all new and old networks, including: MODBUS, ProfiNet, EtherNet/IP, TCP/IP, and XMLRPC. Each robot moves three sides of the cube, but some of these moves require the other robot to hold the cube differently for the robot actually rotating one of the sides. To accomplish this, the robot holding the cube will move to a different position and tell the robot moving the cube when it is ready. Then, the holding robot will pause its own program and wait for confirmation that the side has been moved from the moving robot. The Dashboard server has much more functionality that just starting/stopping the robot. For more information on Dashboard Server commands and usage, see Article 15690 on Universal Robots support page. These are sent as encoded strings to the robot which are executed immediately. This might be helpful when the handoff point between two robots varies from time to time; the robot with the part can tell another robot to go to a specific point based off where it is handing off the part, or to tell the robot to wait where it is for a defined amount of time. To learn more about URScript and its native functions, download the URScript Manual (SW3.5).This functionality enables UR robots to be operated remotely, hence the collective name for these servers: Remote Control Servers. If there is some specific functionality that isn’t natively supported by URScript, predefined functions can be written and included in the robot’s preamble, so that these commands can now be understood when sent over a Remote Server. Another communication method I want to talk about is XMLRPC, which stands for XML-formatted Remote Procedure Call. This is not necessarily used for robot-to-robot communication, but is extremely useful for performing functions during runtime that are impossible to support through URScript. An XMLRPC can call a program or predefined function written in another language during runtime. This is especially useful for routines that are not compatible with the URController and need to be executed separately. To read more about XMLRPC functionality, read Article 16326 on Universal Robots Support page. 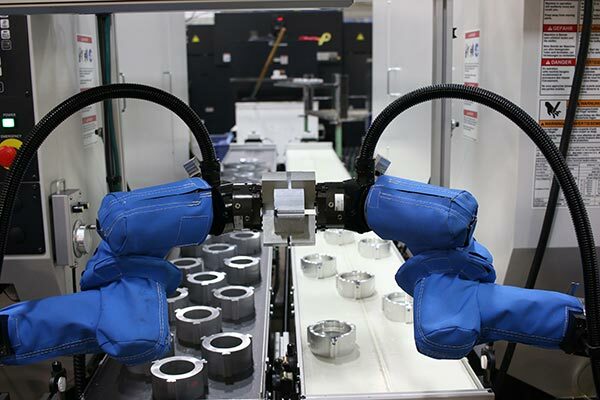 At Task Force Tips in Indiana, USA, two UR5 robots work in tandem in a vision controlled machine tending application. All communication between vision systems and robots happen through MODBUS. The MODBUS protocol, an industry standard, is used frequently throughout the robot industry. 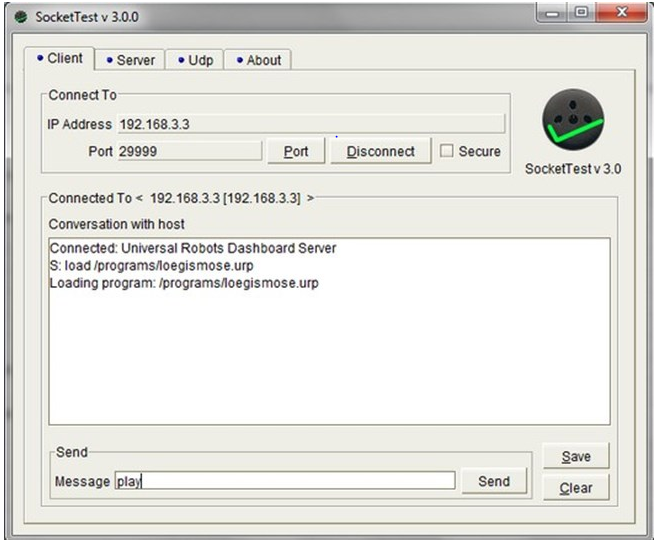 Although MODBUS is often times used along with a MODBUS controller, the protocol can be used by itself for yet another robot-to-robot communication method. Axis New England, a UR distributor, has created a convenient ebook that lays out how MODBUS connections are setup, and what is needed to configure communication between two robots. The ebook also introduces example programs using MODBUS registers to send coordinate information between two robots, complete with a download link to the example program and a video of the program in action. 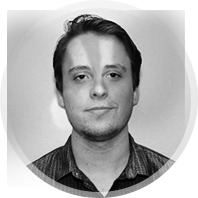 Sam Paxton is currently finishing a co-op assignment at Teradyne Inc. and plans to finish his degree in Computer Engineering at UMass Lowell. At Teradyne, Sam benchmarked average times to create vision programs and researched ways to create a more approachable solution to vision applications, which included studying many different communication methods robots are currently using.